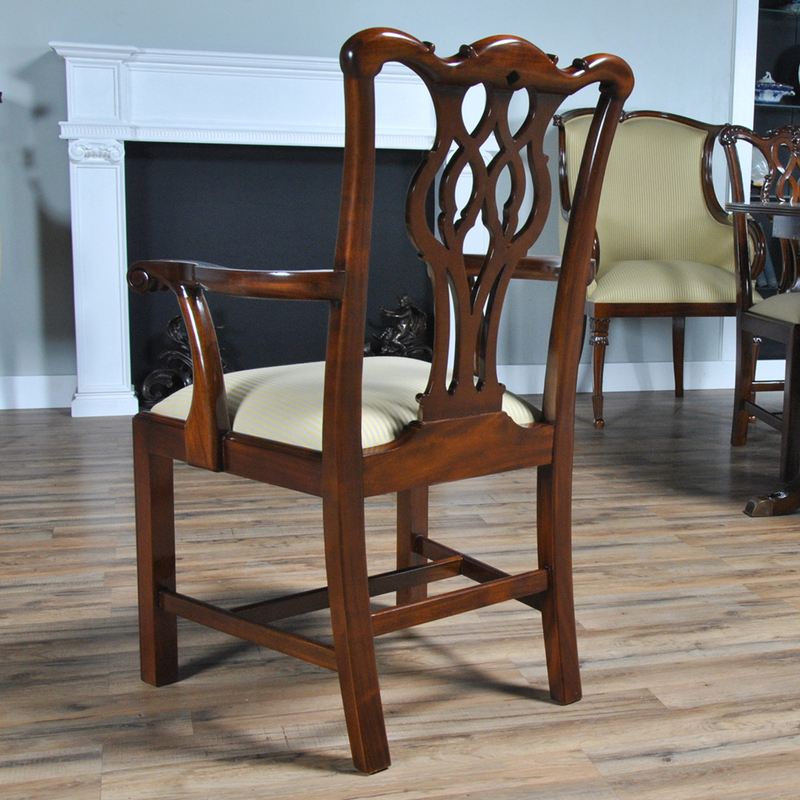 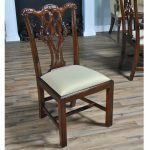 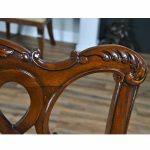 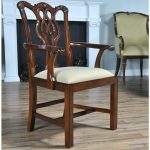 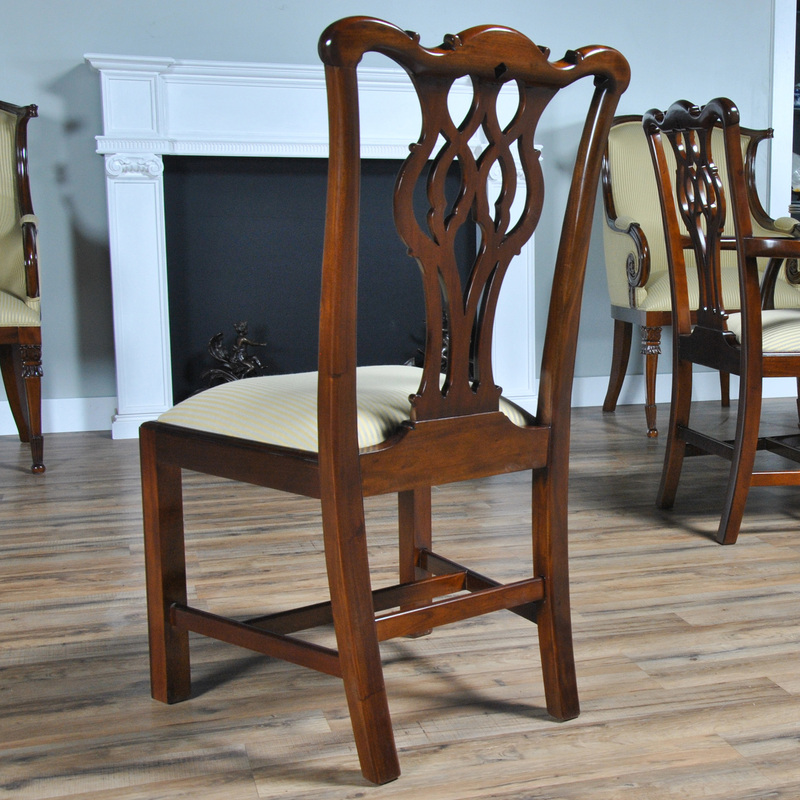 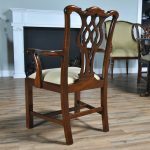 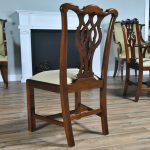 A hand carved, solid mahogany set of 10 solid Mahogany Chippendale Chairs by Niagara Furniture with 2 arm chairs and 8 side chairs. 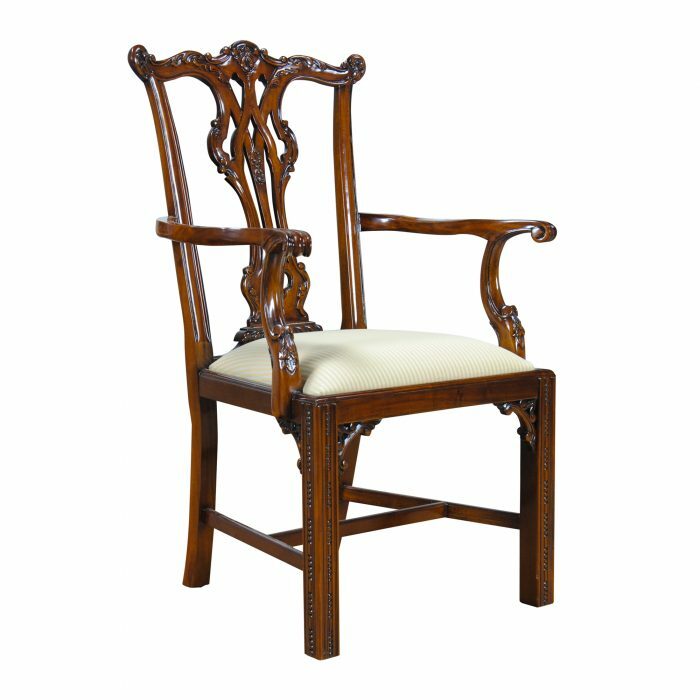 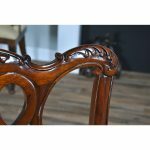 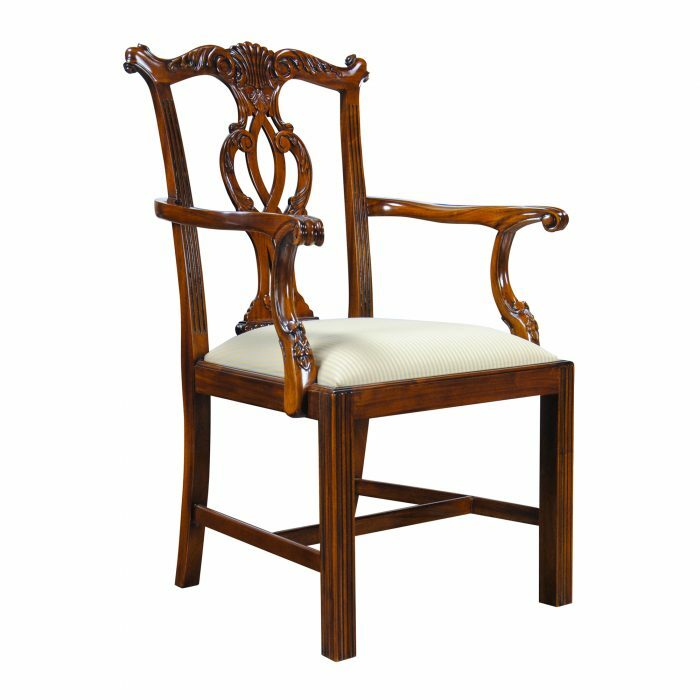 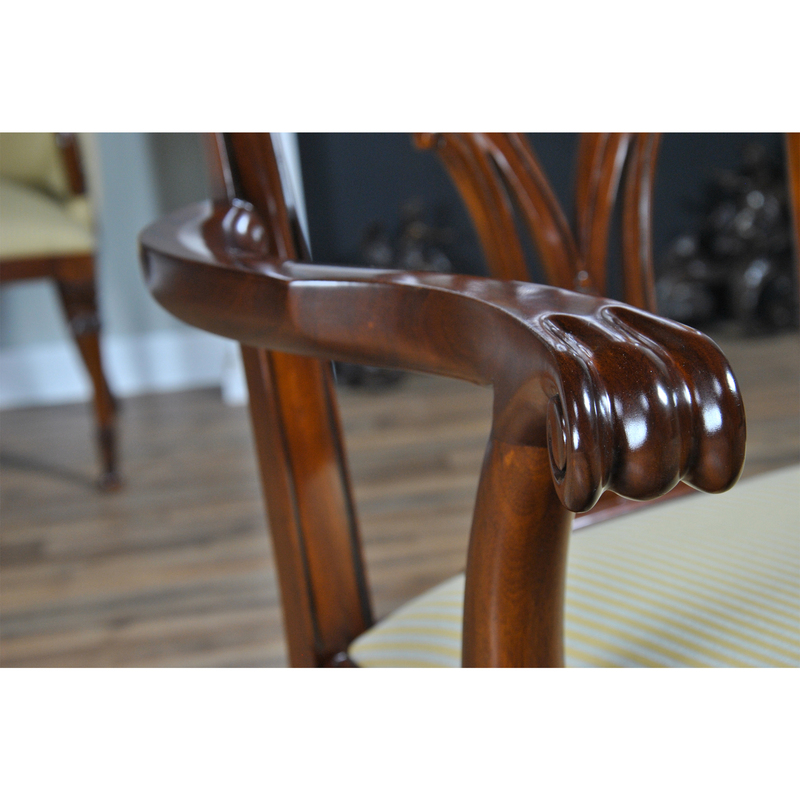 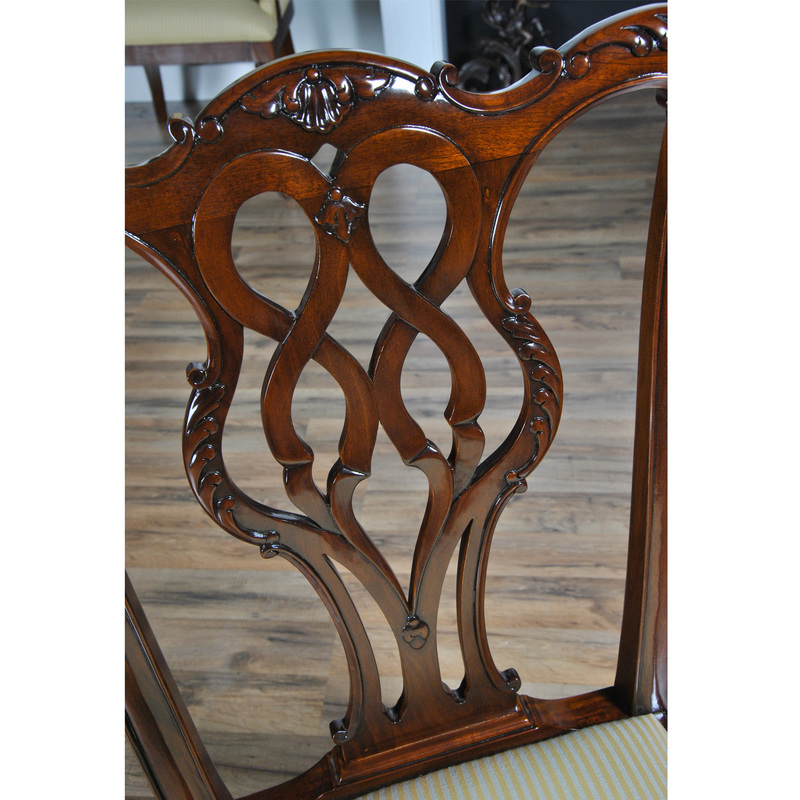 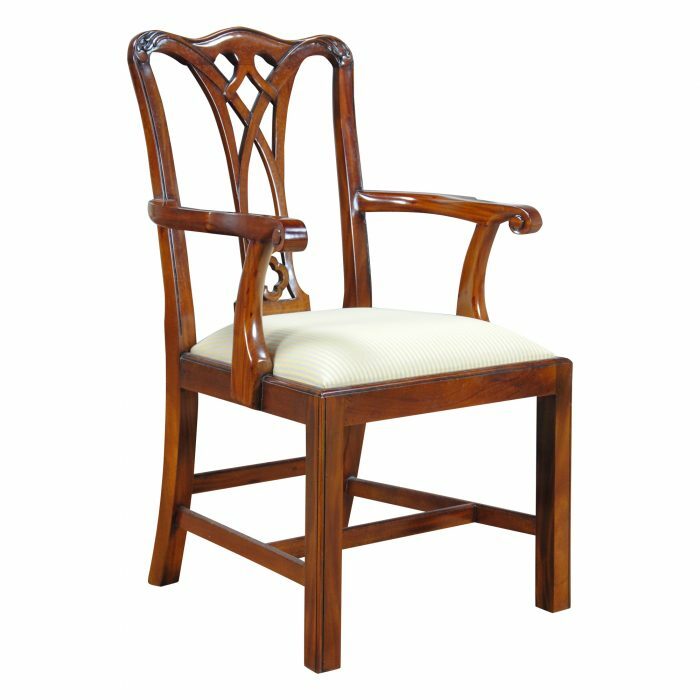 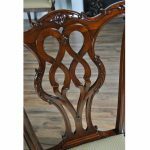 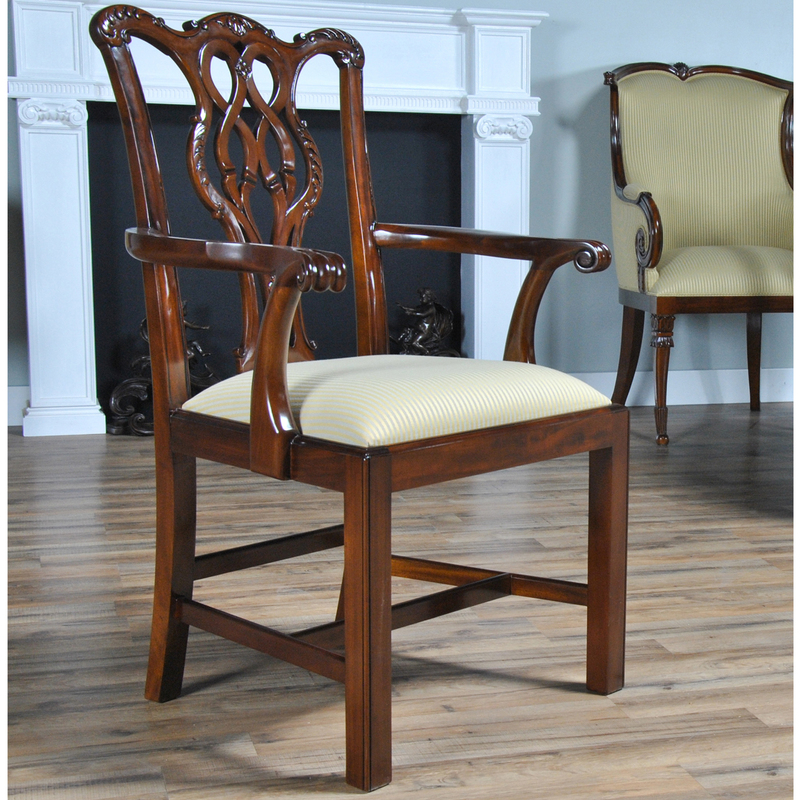 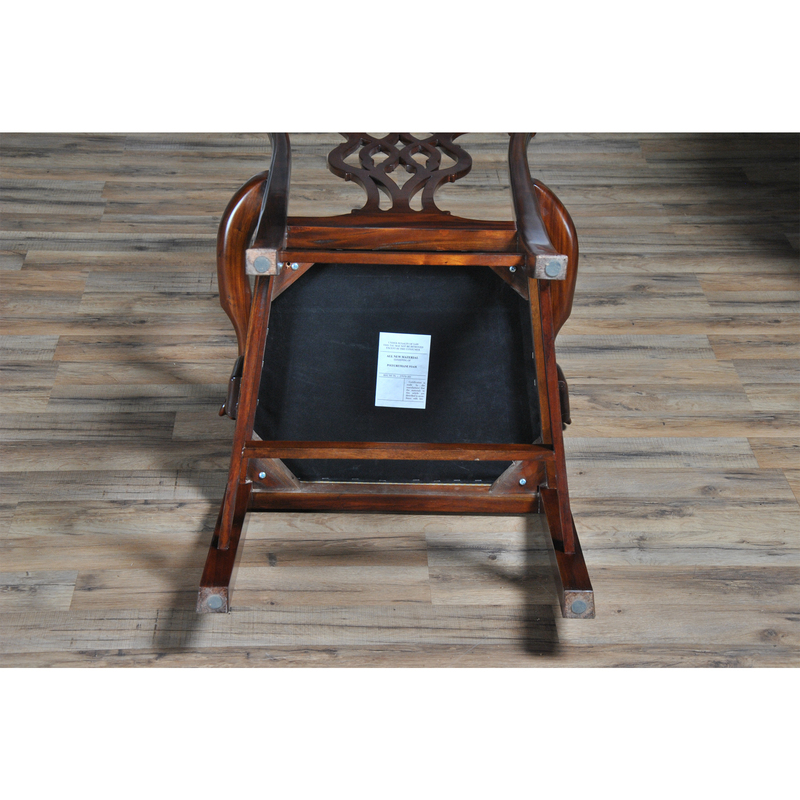 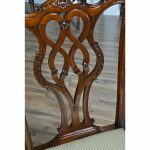 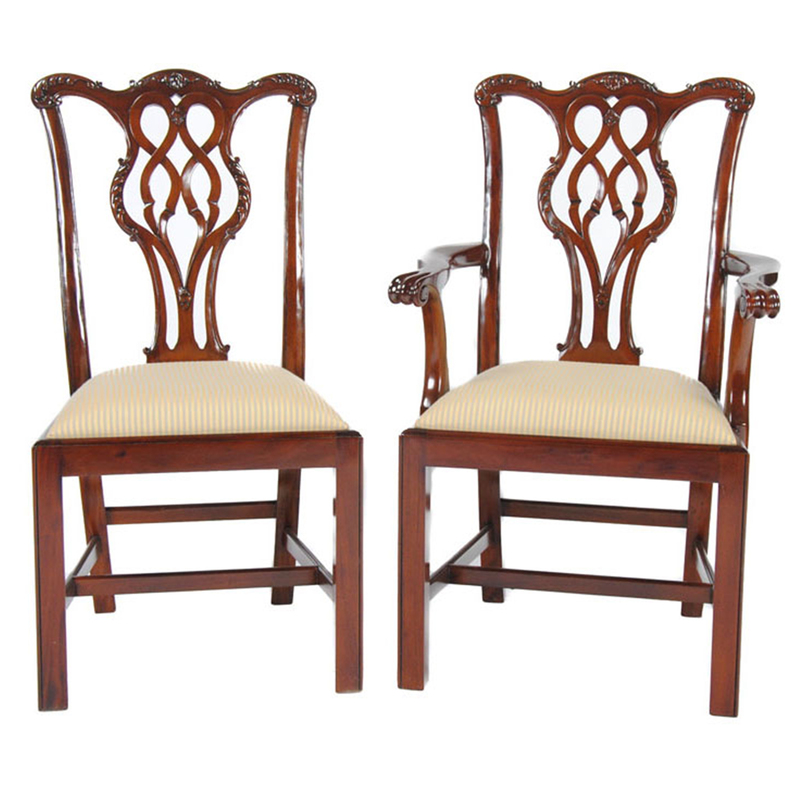 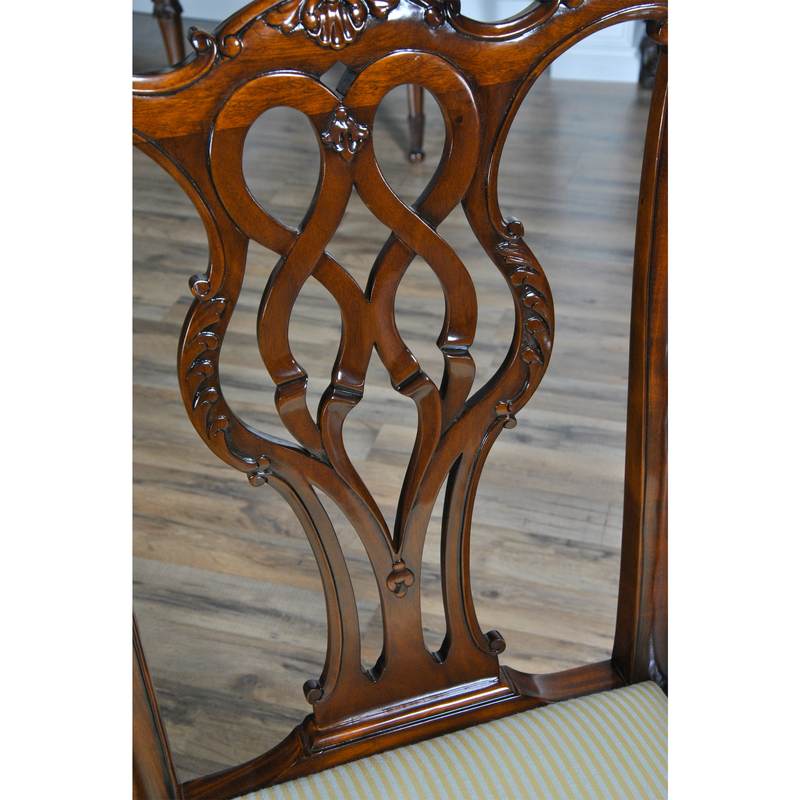 Each chair has a serpentine crest rail and similar back splat, all hand carved from solid mahogany. The armchair features scrolled and shaped arms at a height of 28 inches and a drop in seat at a height of approximately 21 inches. 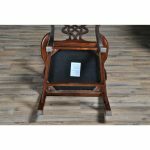 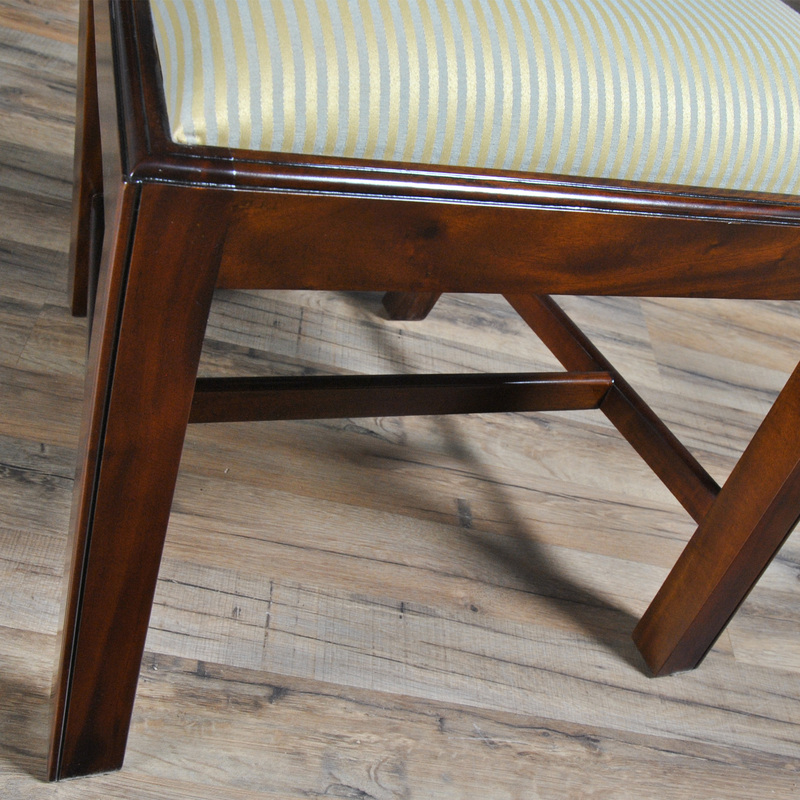 All of the seats are easily removable so the fabric can be changed and customized at any time. The chair rests on square, reeded front legs and tapered back legs suitable for almost any style of dining room. 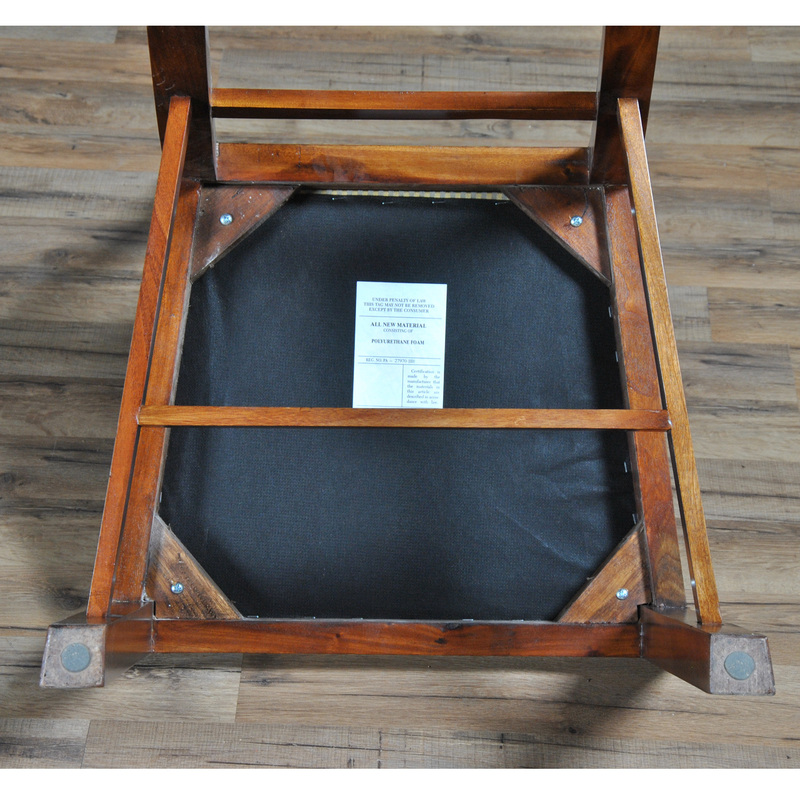 Front and rear legs connected via an “H” frame for extra strength and durability.